high school students (grades 9-11) to participate in a 5 day leadership camp in Halsey National Forest near Halsey, NE. This camp challenges each camper educationally, recreationally and socially. 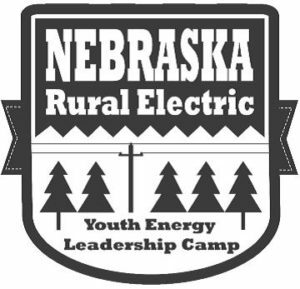 They have a good mix of activities that give campers a better understanding of the legislative process, and the electric utility business including power generation and rural electric programs. Some of the highlights of this camp include tours of Kingsley Hydro Station at Lake McConaughy and Gerald Gentleman Station at Sutherland, NE. There are many other popular activities such as canoeing, volleyball and basketball. Stop in the office to sign up for camp! Washington Youth Tour. SCPPD will select one camper to participate in this once in a lifetime event in Washington DC. This is a weeklong, all-expense paid trip to Washington DC to educate our youth with stops at the Nation’s Capital, Smithsonian Museum and Gettysburg.